Reckless driving seems easy enough to spot, right? But, accidents still happen and it’s important to know the signs so that you can avoid getting in one. What seems like common sense can sometimes be overlooked on the road. Keep an eye out for these kinds of driving behaviors to ensure you and your passengers remain safe. If a car is continually running stop signs, blowing through red lights and simply ignoring the rules of the road, they are a hazard. Make sure you are obeying all traffic signs and lights, as well as staying away from those drivers who don’t, to prevent a potential accident. Speeding is a sure sign that someone is a reckless driver. They are probably not paying much attention to their surroundings since they are in such a hurry to get to their destination. Also, driving too slowly can be a danger to watch for as well. 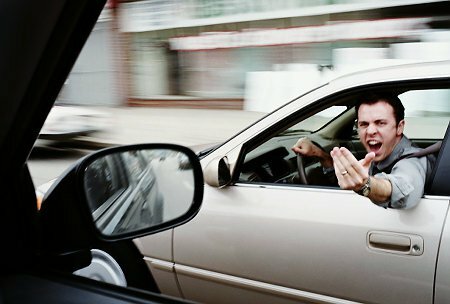 If you don’t notice that someone is driving particularly slowly, you may run into him or her. If the car behind you is directly on your rear, an accident is only moments away. Changes in traffic can happen at any time and that person can easily crash into the back of your vehicle. Also, if a driver is “zig-zagging” through traffic by changing lanes constantly, they are putting other drivers and themselves at risk. Look out for these drivers.